The OpenChain Project has active bi-weekly calls and a great mailing list that provide the “nuts and bolts” of our community activity. These are joined by various releases of documents and announcements of OpenChain-related events throughout each month. In September the big news was the appointment of our first Community Representative to our Steering Committee and a terrific, exceptional series of educational case studies in English and Japanese from our Japan Work Group. 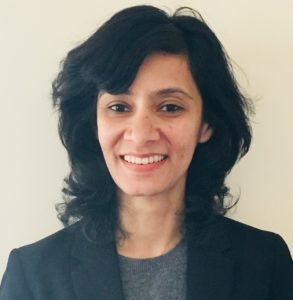 We are delighted to announce that Indira Bhatt acted as our OpenChain Community Representative during our inaugural Steering Committee meeting. Indira is a Manager in KPMG’s San Francisco Advisory practice with nearly 10 years of experience in the area of Free and Open Source Software (FOSS) due diligence. She has extensive experience in setting up FOSS compliance teams including leading, training and mentoring junior and senior analysts. Indira has helped various organizations successfully contribute code to the open source community and establish FOSS review boards by either defining or refining existing governance and usage and approval policies and procedures. Indira will represent the community in our second Steering Committee scheduled for late October before rotating the role with another community member. This month is all about case studies. This time around we focused on how companies instituted educational programs. All of the case studies came from our excellent and highly productive Japan Work Group. Big thanks are due to Fukuchi San from Sony for coordinating all the moving pieces. The OpenChain Project benefited from outreach talks being reserved in the international schedule by our chair of the Specification Work Team and one of our most active partners in the UK. First up, Mark Gisi presented the latest news from our project at the recent SPDX General Meeting. One of the most interesting highlights was the reveal of SParts – a supply chain ledger leveraging blockchain technology – can solve accountability and access questions. This merges SPDX and Hyperledger to provide a supply chain solution that can be immediately useful for companies managing open source compliance. October will see a strong emphasis on outreach, both at Open Source Summit Europe and via other events and webinars. At the same time the project is benefiting from an expanding commercial ecosystem, purely market driven, that indicates further substantial growth in the adoption of best practices for open source compliance programs is just around the corner.